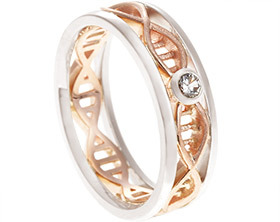 Jan and Ali wanted to create engagement rings for each other with connecting elements but that were also unique to them individually. 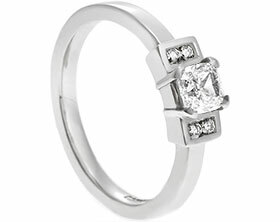 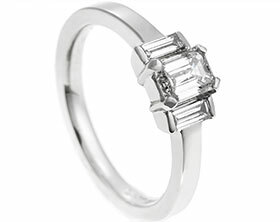 Jan wanted a simple solitaire engagement ring and chose a stunning 0.08ct princess cut diamond to be all around set in palladium. 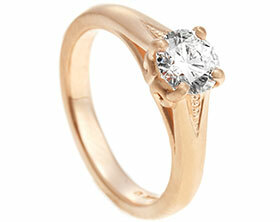 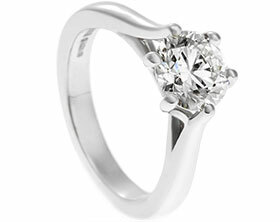 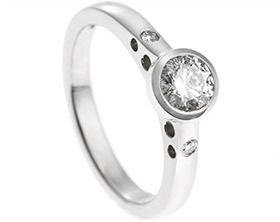 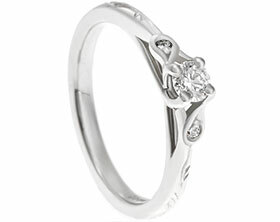 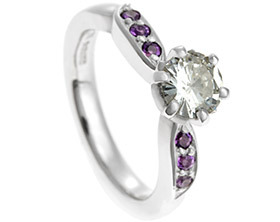 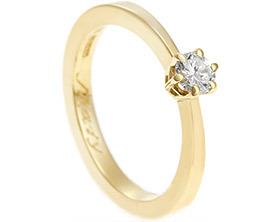 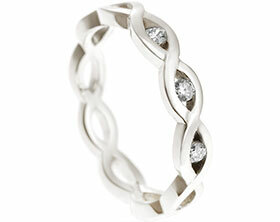 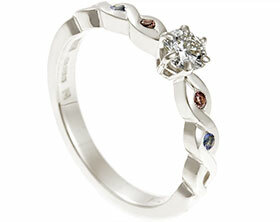 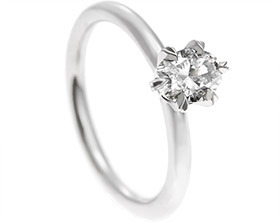 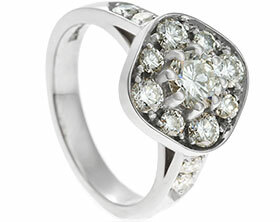 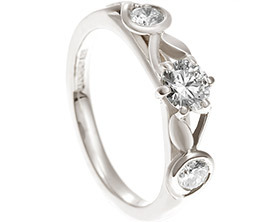 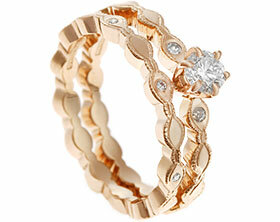 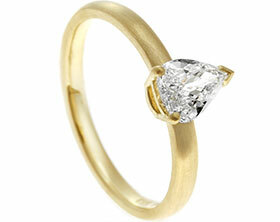 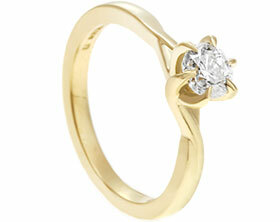 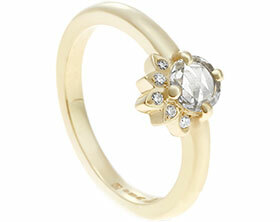 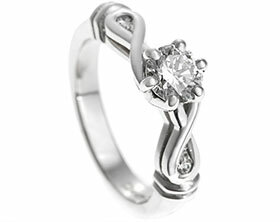 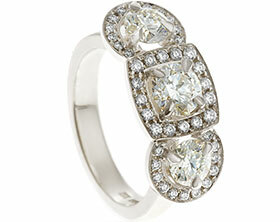 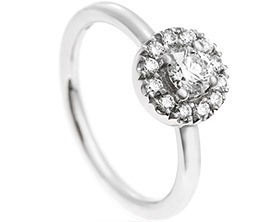 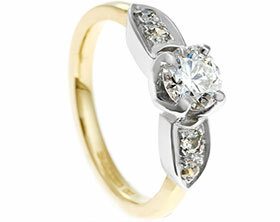 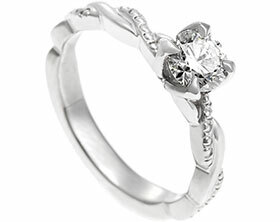 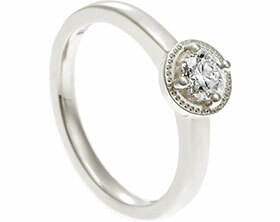 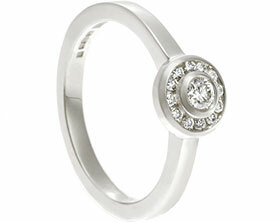 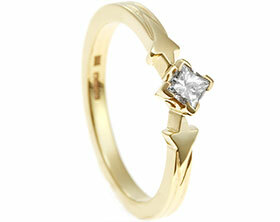 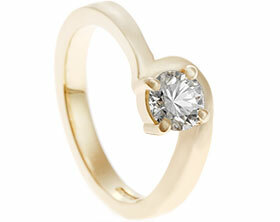 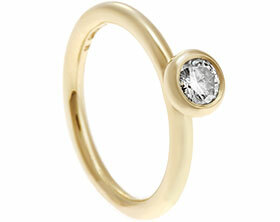 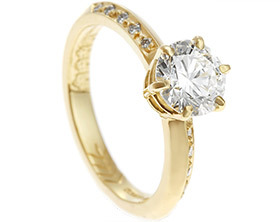 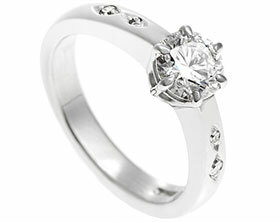 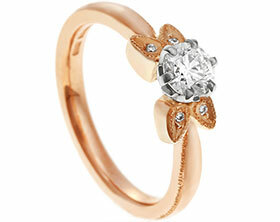 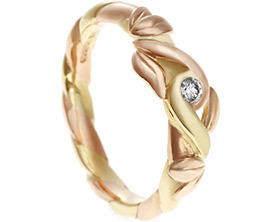 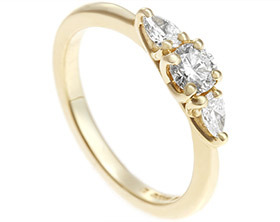 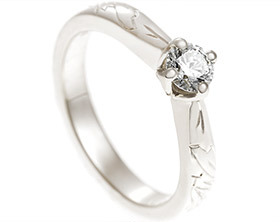 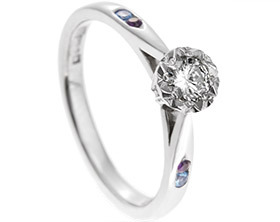 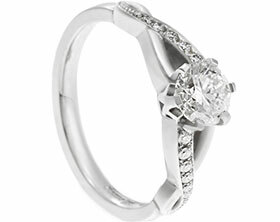 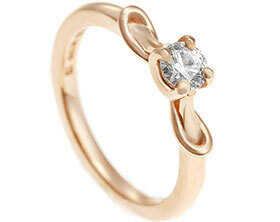 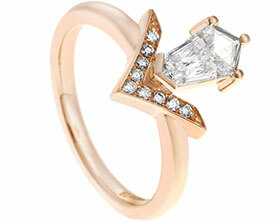 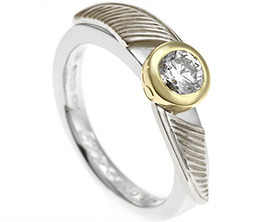 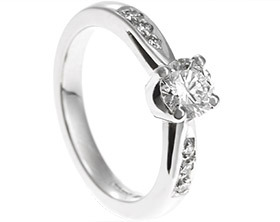 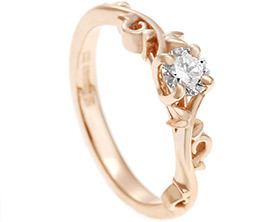 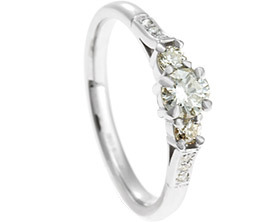 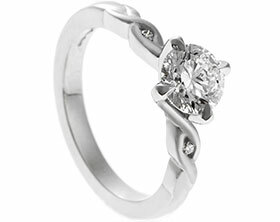 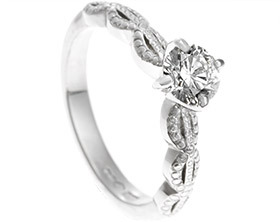 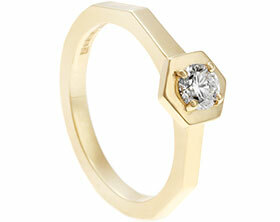 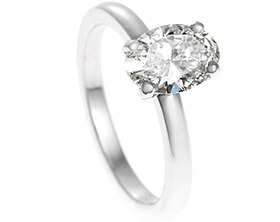 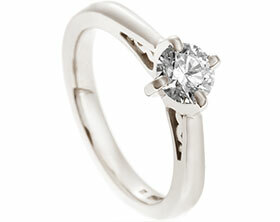 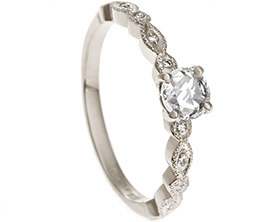 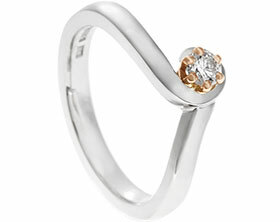 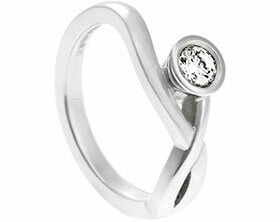 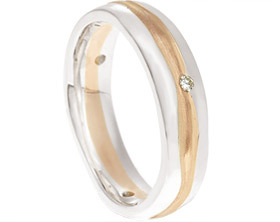 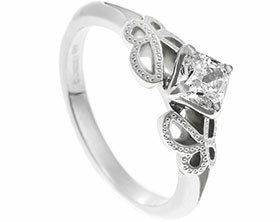 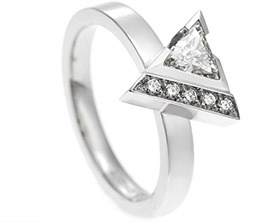 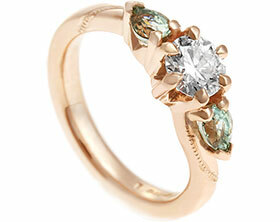 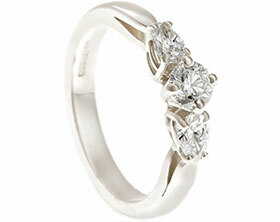 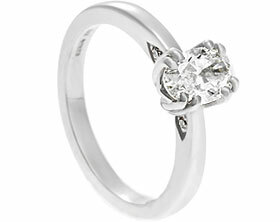 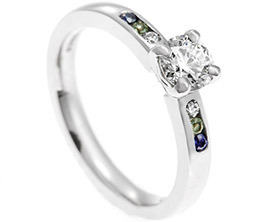 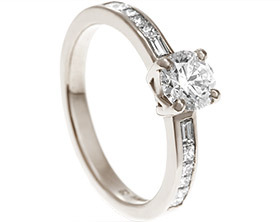 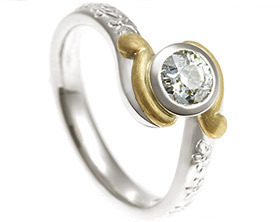 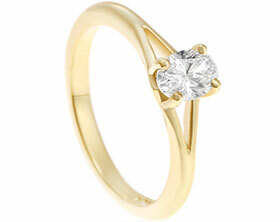 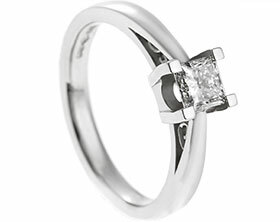 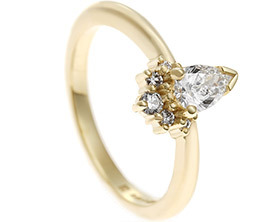 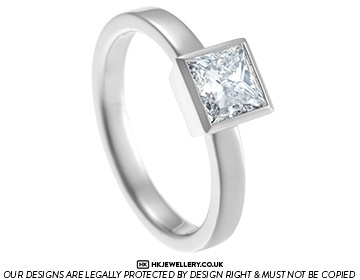 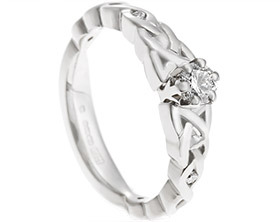 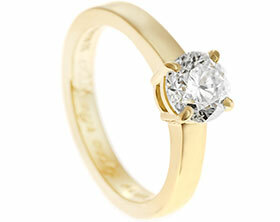 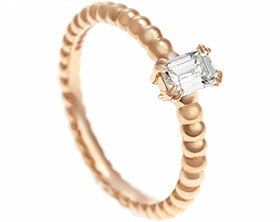 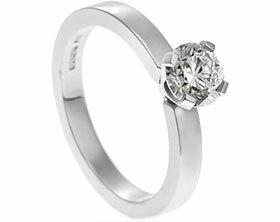 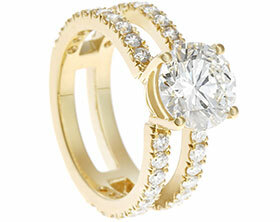 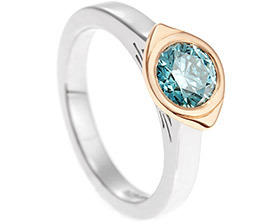 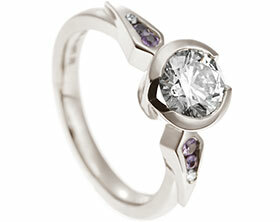 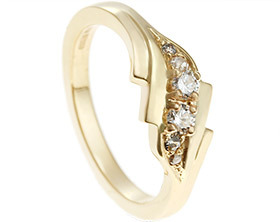 The modern design accentuates the central stone, whilst being a comfortable ring to wear everyday.